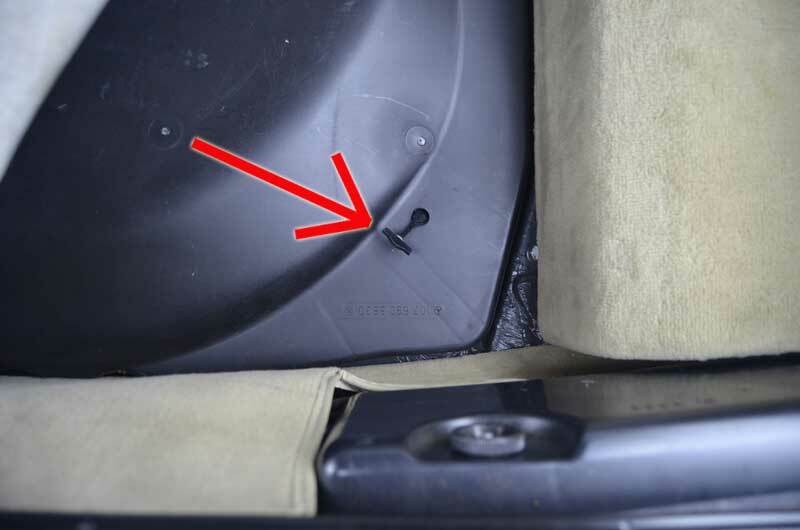 If you own a Mercedes-Benz that dates from the mid 1970s through the mid 1990s, almost every model, you may have noticed a little plastic strap, under the carpet in your trunk, sticking out of the spare tire cover. If you know what that’s for, hit your back button and read something else… if you don’t, read on and prepare yourself, once again, to marvel at the ingenious German engineers at Mercedes who seemed to have thought of everything when designing the Mercedes of this era. 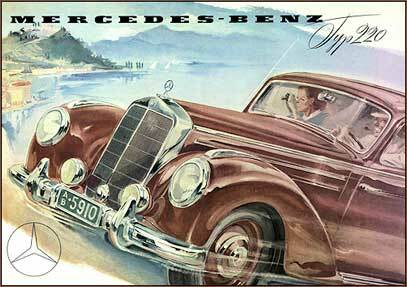 I’ve always thought of this era at Mercedes-Benz as a time when the design and engineering departments seemed to have the final say as opposed to the financial and business related departments that seem to rule today. 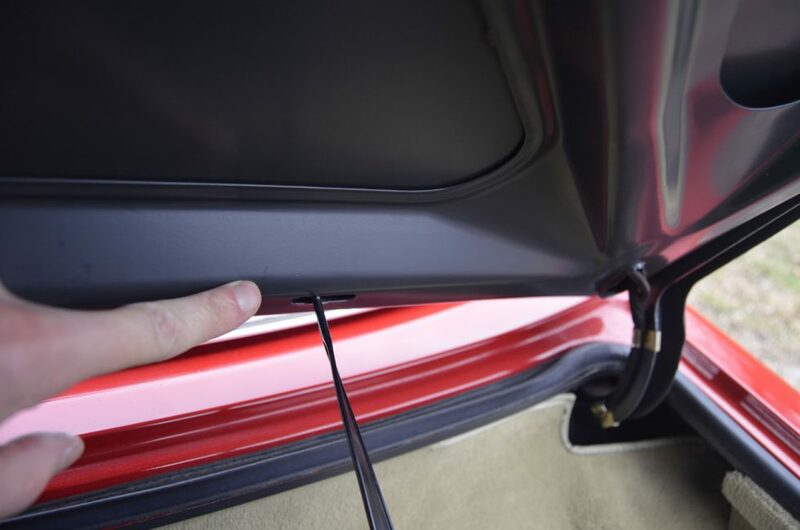 Insert the tab of the strap into that slit in the base of the trunk lid and turn it sideways, so it won’t slip out, and voila! 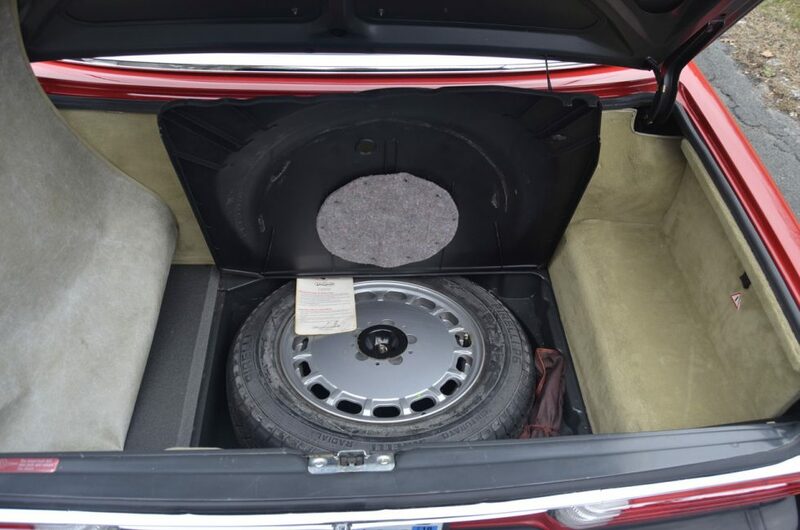 As you let go of the hinged spare tire cover, it stays up. How cool is that? 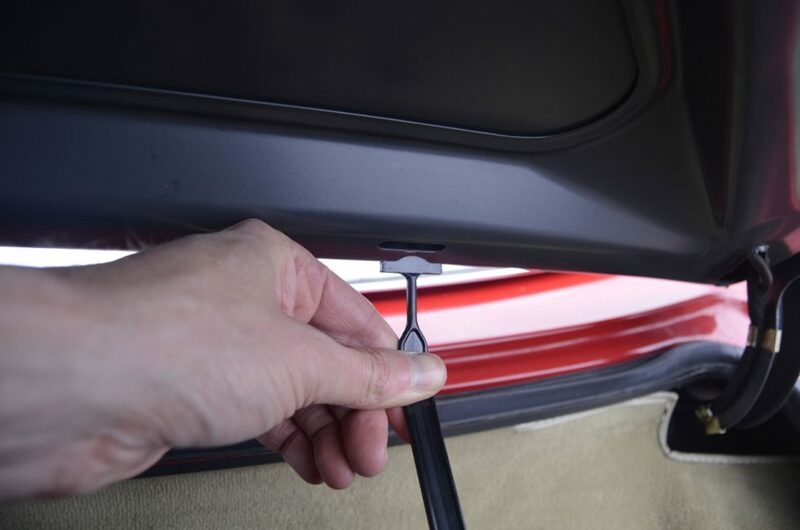 The cover for the spare tire is suspended with the strap, out of your way, so you can easily access the tool kit and spare tire in the storage area below. Remember the days when you got a real alloy wheel, just like the other four, as a spare? 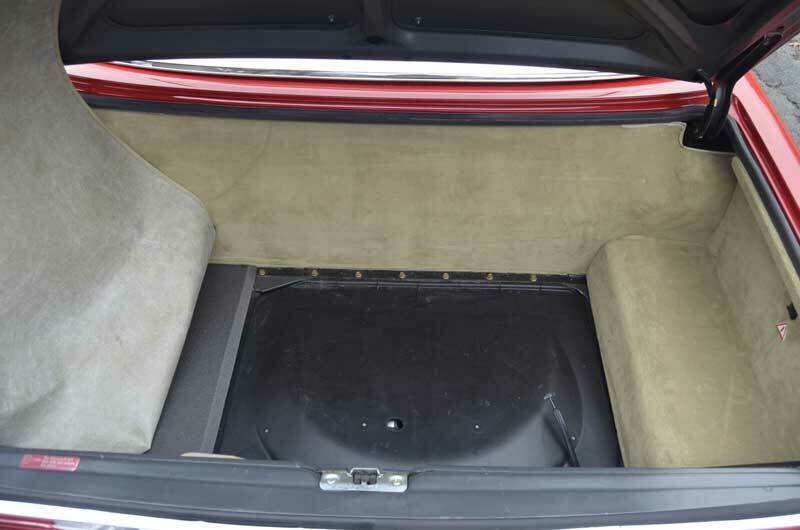 As we stand back from the trunk, you can see the spare tire cover nicely suspended by that little strap. If you have to access the tool kit and spare while on the side of the road, it’s easy with that cover safely out of your way. 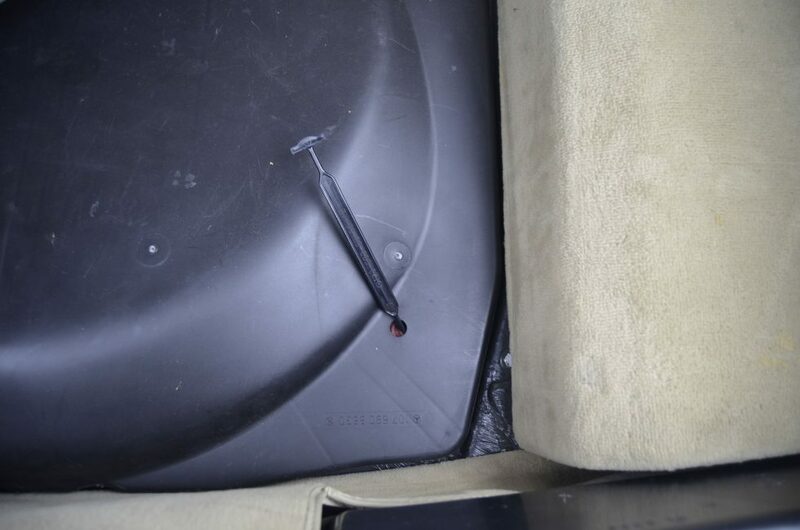 This is just another one of those little details that are built into these cars that many people don’t realize is there, or if they see that strap, they don’t always know what it’s for. The strap itself has an embossed part number on it “123 693 00 14”. 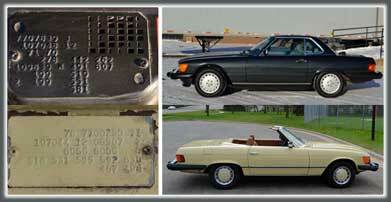 So it would seem that this part was first used in the W123 chassis cars which began production in 1976. The same strap was used on W126 cars as well as R107s and even W124 cars. 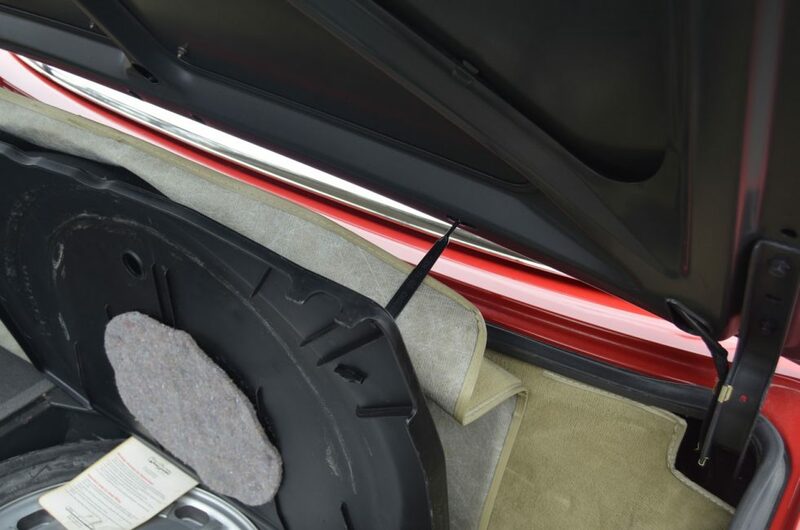 Mercedes today, say, a new C class or even the GLK from 2010 and later have a similar system to hold up the ‘trunk floor’ or carpet covered fiber board found in most of the new cars, it isn’t a tabbed strap like this, but those cars have their own engineered solutions to keep that piece up and out of the way when accessing the spare tire area. 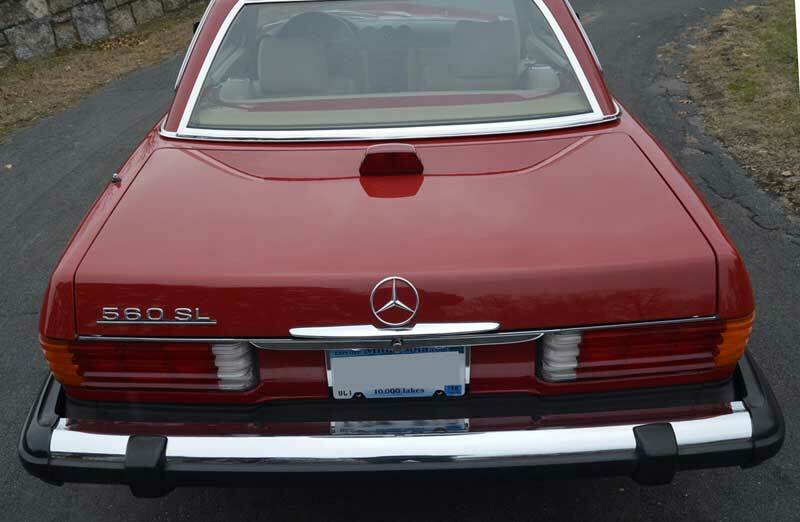 How Mercedes-Benz engineers figured out such a system or even identified the need for such a thing emphasizes the attention to detail that went into designing these cars whether that was 40 years ago or just a few years ago. 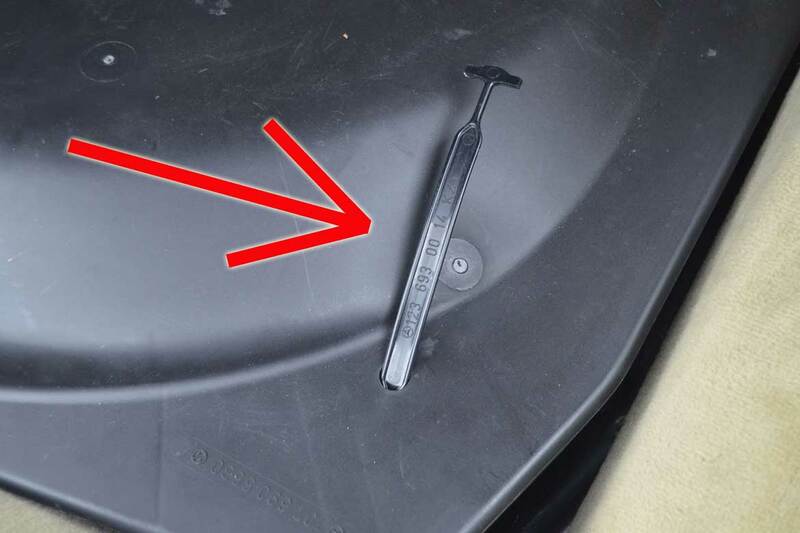 These little details alone make German car ownership rewarding. 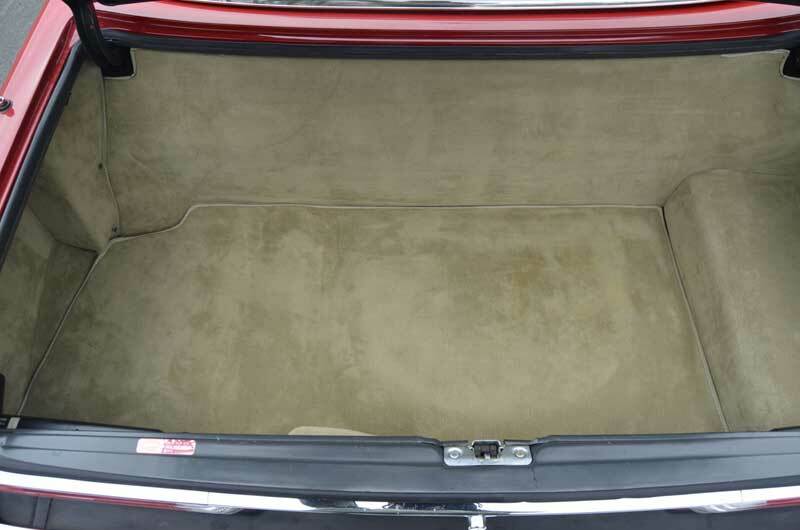 It has changed over the years from full tool rolls and fitted luggage to properly placed convienance features but all of it reenforces the fact that thoughtful design and engineering is present and accounted for. I agree Doug… all these little things matter. Looking back on some of these older cars (and not even that old.. 20 yrs?) not all convenience features have to involve complicated systems, relay, computers and more stuff to break. 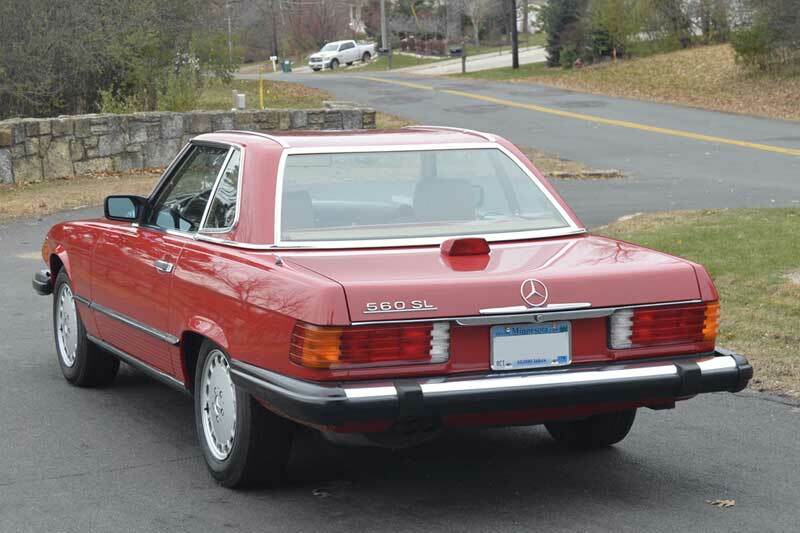 I’ve been daily driving a cream puff W124 and honestly, it is nicer to drive than my 2006 E class. 65 mph feels like 45 mph.. it’s crazy.